I've encountered so many new bloggers lately, even some of my friends started their own blog. I personally love new bloggers as I know they are at the peak of their passion of writing, thus the start of their blog. So as a six years senior blogger of yours, I would like to share a few tips on blogging with you. 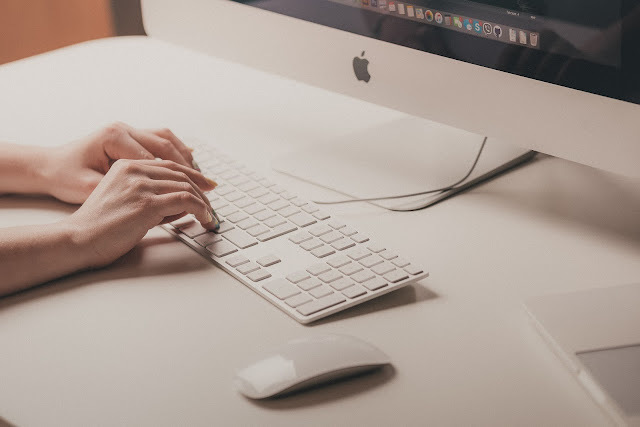 I know there are people who want to start blogging but don't have the courage to do so as they think that their writing skill is still lacking. Well, even though I started blogging six years ago, I still think of myself as an amateur as I keep learning new things on blogging even to this day. In life, you'll never stop making mistakes, thus you'll never stop learning. So it's okay to start bad because through practices, you will improve. Prior to the first tip, reading is the most basic thing to do to improve your writing skills. I believe that most of us had the urge to start a blog because of certain bloggers we admired and these bloggers are good at writing. All you have to do is to hit the blog archive and read everything in there to get the inspiration to write. Other than blogs, reading novels or non fiction books would be a help too. Just get your lazy eyes onto those pages and start reading. When you write about things you enjoy writing, you would naturally write with passion which would help you making good contents. So it's okay to not have a blog niche because as long as you write about what you love, with passion, people will be attracted to read your blog. Ain't nobody gonna magically stumbled upon your blog without your effort of making it known to others. The easiest thing to do to make your blog known is by blogwalking and leave your mark either in their Cbox or leave comments in their posts, or better yet, both. A nature of a blogger would visit your blog in return, trust me. Also, I know you have tons of social medias such as Facebook and Twitter so just share your blog link in there. So that's my tips for you new bloggers, I hope these could help you in any ways. Do you guys have any extra tips to share? I love and agree all your tips Lya :) Especially Write What You Love <3 Siqah pun tiada blog niche, just post whatever I feel to post. Yang penting lahir dari hati tulus ikhlas. Chewah.. hehe. one more thing,dont write so many entry about your crush,love story or whatever...people will getting annoyed,I think passion is more to tell what you love that bring benefit to others who read your entries.Thats how I think...coz believe me one day you will look back at your old entries and you will realised...wtf!!! what the hell I wrote these past 5 years plus kau akan geli baca balik entri lama and malu bila pikir how people those day react to my entries. 'You responsible for what you write' that is so true and yes, we should not write something without considering our readers' feeling/interest as you might as well write a diary instead or private your blog. thank you for making me love my blogging career all over again. haha. It was the feeling I had when I first started so I think new bloggers should know that they don't have to wait to start. 'You write because you want to be good' is so well said rasya ! that is so true. I love reading whatever it is they're sharing as long as it's fun to read so I think it's okay to post whatever you want as long as you pour your passion in it. go for it puteri ! I've been blogging for the past 3 years and still need to put a lot of effort in building my blog. Just so you know, in the early of my blogging time I used to write and pour my heart out in each entries that I wrote. Just describe my real feelings and being funny as I can be. And it leads to positivity of my blog growth as I attracted many of friends (and people) to read my blog. But recently am more careful to whatever I write because I only want people to get something from reading my blog. Idk if this is a good idea or not but ... I'm asking for your opinion do I need to change to my early ways of writing blog? Or just stay as I'm now and be that kind "professional blogger"? Aaaah, this article truly reminds me of my early years of blogging (somehow, it made me feel old now. BHAHA). I start writing a blog with no idea at all, I just write what I had in my mind - obviously, all is crap! While browsing the Internet, I stumbled upon few articles sharing some tips on blogging (which I found most of the articles are pretty useful). Used those as my guideline. Its been almost 6 years, I still think that it is still worth to keep. To newbies, please pin this article as your guideline! I know right! But all the crap was worth it actually, as it showed us how mature we've become over time so I never regret writing those craps haha. I agree on your way to search blogging tips to grow your blog as we'll never learn if we don't have the effort to. Plus, dunia di hujung jari sekarang. Just type what you want, and all the information is ready in front of you. Thank you for recommending them to pin this article! I love all your thoughts. I am a writer without a fixed niche, I write what I feel. Thus readers is free to not return back again if they hate what I write, and I will continue to write whatever I love. Hehehehe. I am just in love with the point-write what your love. I do try to write things that might be benefits to others so that I could gain more traffics but I rarely reread those kind of writings. I always read back my entries because somehow it soothes me. Actually, ater some time of traffic driven posts, I'd be itching to write something from my heart. Even if it is just some stupid rambling, I would still feel so contented. I agree. We shouldn't try hard at pleasing other people especially if we write as a hobby and not as a job. Love the tips, thanks for sharing. Definitely rooting for the first tips mentioned - start now wherever you are and don't have to wait to feel ready to really do it.